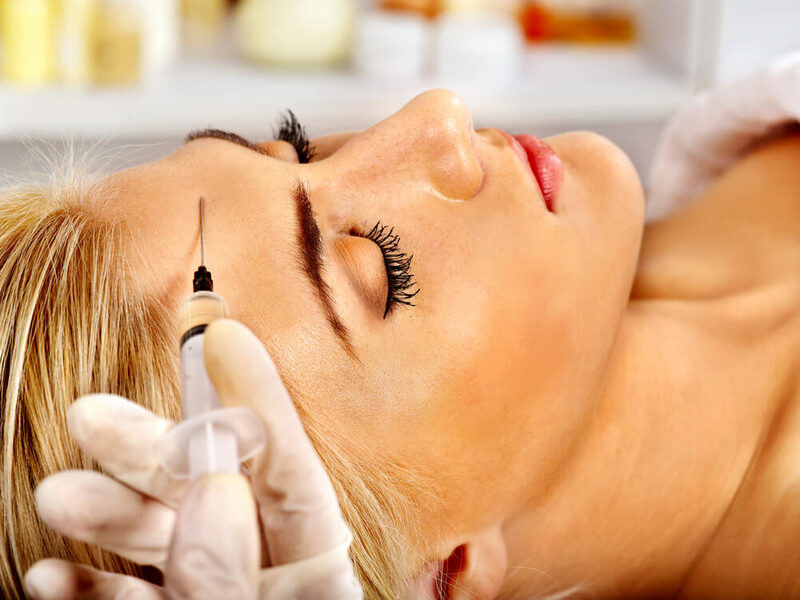 Dermal fillers, or injectable wrinkle fillers, do pretty much exactly what their name suggests. Unlike Botox, which paralyzes the muscles to treat wrinkles caused by facial contractions, dermal fillers fill in fine lines, creases or wrinkles using one of the several substances available. For this reason, dermal fillers are ideal for those just beginning to show signs of aging. Botox, while incredibly effective, does not work on fine lines because its primary purpose is to stop facial muscle contractions. “Dermal fillers can be very helpful in those with signs of early aging,” according to the American Society of Plastic Surgeons. In addition to virtually erasing early signs of aging, dermal fillers can be used to add volume to the skin, plump thin lips and lifting areas like the cheek, jaw and temples. Hyaluronic Acid Fillers – Hyaluronic acid is the most popular dermal filler because it has research supporting some really great benefits. Hyaluronic acid not only fills in and plumps your skin, but research suggests that repeated hyaluronic acid injections actually stimulates your body’s production of natural collagen, which further reduces early signs of aging. Additionally, there is some evidence that over time and with repeated injections, you can use progressively less product to achieve the same results. Hyaluronic acid fillers can last anywhere from a few months to up to two years. There are minimal side effects of using hyaluronic acid as a dermal filler; you may experience redness, swelling and bruising at the injection site and the filler may appear as tiny bumps under your skin, but this condition improves over time for a smoother look. Collagen Fillers – Collagen fillers were the first wrinkle fillers to be developed, and were produced mainly using collagen extracted from cows. At one point, these were the most common dermal fillers, but advancements in science have shown other types of fillers to be more beneficial and less risky. Initially, because the collagen came from an animal source, there were more risks of allergic reaction, but new ways of processing collagen have cut down on this risk. The major downside of using collagen as a wrinkle filler is that the results do not last long; some experience results that last only a month. However, many believe that collagen fillers look far more natural than other types of fillers. Side effects of using collagen fillers include allergic reaction (if still using bovine collagen) and redness, swelling or bruising at the injection site. Autologous Fillers – The most common autologous filler is your own body fat. Fat is removed from your thigh, buttocks or stomach and is then treated before being injected into your face. This filler takes a longer time to complete than others because it requires two procedures, although both procedures can be done in a single office visit. The major benefit of using your own fat to reduce early signs of aging is that the results are semi-permanent and require far less subsequent injections than other fillers. Like other fillers, risks of using your fat to fill wrinkles include swelling, redness or bruising at the injection site. Before you get any dermal fillers, it is important to do thorough research and to find a highly skilled doctor to perform these injections. Risks of dermal fillers increase when done by individuals without experience or knowledge and to get the best and safest results, you need to visit someone with experience. Don’t get injections based on price alone, and never receive injections from sources outside of a sterile medical environment. Non-licensed medical providers have been reported to use substances like surgical-grade silicone, baby oil and even cement, so you never want to take that risk. Once you have received dermal fillers, prolong the results by using a quality anti-aging skin care regimen, and always use an SPF before heading outside to prevent future signs of aging.